ALPHA held seminar for professionals from foreign country. 해외에서 방일한 전문가를 위한 세미나를 개최하였습니다. 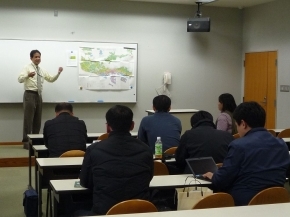 On 2nd December, Awaji Landscape Planning and Horticulture Academy(ALPHA) held the seminar for administrators and researchers for urban agriculture professionals from Korean Ministry of for Food, Agriculture, Forestry and Fisheries. 아와지 경관원예학교에서는 12월2일 내방한 한국의 농림수산식품부(농림수산성) 등의 도시농업 연구, 정책을 다루는 전문가를 위한 세미나를 개최하였습니다. 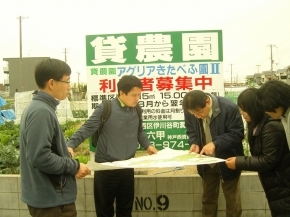 ALPHA is advancing to realize the plan of establishing ‘East Asia Sustainable Landscape Education Center’ which is expected to be the platform from where the outcome of researches and activities of landscape design management for sustainable city and region harmonized with natural environment will be extended by seminar for the foreign professionals in the area where the progress of economic development is expected. 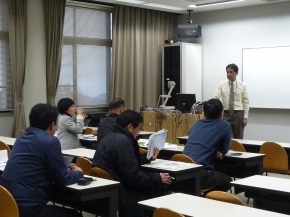 This seminar is one of the promotion activities of this plan. 아와지 경관원예학교에서는 본교의 교원, 수료생을 포함한 관계자가 효고현을 중심으로 일본의 관서지역에서 전개하는「자연과 조화로운 도시・지역 만들기의 대처나 그 성과」를 해외, 특히 앞으로 경제발전이 전망되는 동아시아 지역의 전문가에게 들려주는 세미나를 개최하여 동아시아에 있어서 「지속가능한 지역만들기」 교육 센타의 설치구상을 추진하고 있었습니다. 이번 세미나는 이러한 구상의 추진활동에 일환으로서 자리매김도 되었습니다. 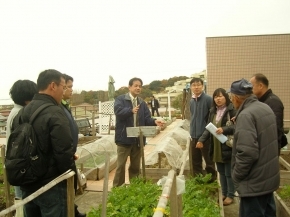 This seminar was held for six professionals of Korean Ministry of for Food, Agriculture, Forestry and Fisheries, Rural Development Administration and the Presidential Committee on Green Growth about ‘Japanese urban agriculture and greenery activities by citizens and supporting administration’, ‘Japanese training activities of citizens’ volunteers’ by the request of them. 이번 세미나는 한국의 ‘농림수산식품부’(일본의 농수성에 해당)와 그 외 부서인 ‘농촌진흥청’, 그리고 ‘그린개발에 관한 대통령위원회’의 직원, 연구원 등 6명을 대상으로 수강자의 요망에 의해 일본에 있어서 「도시농업、녹화의 실태와 그 지원책」「그와 관련되는 시민의 상황과 시민 자원봉사의 육성책 」을 주제로 행하였습니다. 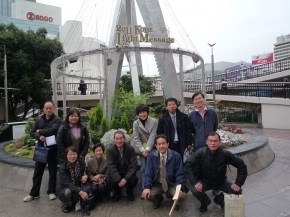 The program of the seminar was prepared by ALPHA with the arrangement of field trip, meeting with volunteers at the site, lecture at ALPHA and exchange of views in compliance with the request. 세미나의 프로그램은 수강자로부터 요청을 받아서 본교가 현지 견학, 그곳에서의 시민들과의 간담, 그리고 본교에서의 강연 및 의견교환을 조합하여 기획한 것입니다. 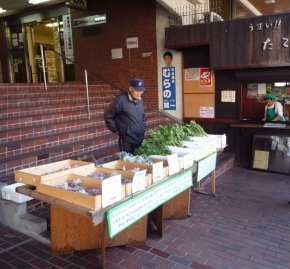 We met at 9:00am at JR San no miya St. and in the station square we studied the flowerbed designed and maintained by volunteers who are graduator of ALPHA continuing education course, and had short meeting with them. 당일 아침 9시에 JR산노미야역에서 집합, 바로 아와지 경관원예학교 평생 학습 코스의 수료생 자원봉사자가 디자인, 관리하는 역 앞의 화단 견학과 자원봉사자와 간담회를 가졌습니다. 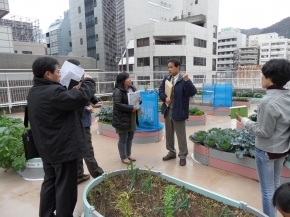 Next, we visited the commercial building near the station and studied roof top rental vegetable garden which is managed by NPO established by faculty of ALPHA. 또한, 본교의 교원이 설립에 관여한 NPO단체가 운영을 시작한 역 앞 빌딩의 옥상 텃밭을 견학하였습니다. 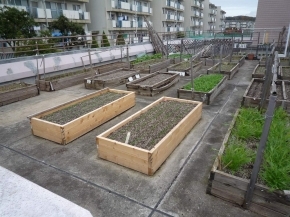 After that, we moved to new town in suburban area, and studied vegetable garden on the roof top of apartment house and selling activity of harvest from the garden. 그 후, 교외의 뉴타운으로 이동하여, 맨션 옥상의 텃밭과 그 텃밭의 판매 활동 모습을 견학하였습니다. In succession, we studied flowerbed by citizens’ volunteers and rental allotment garden in the city park developed as public works. In succession, we studied flowerbed by citizens’ volunteers and rental allotment garden in the city park developed as public works. 또한, 가까운 시민화단과, 도시 공원 내에 지원사업으로 설치된 분구원을 견학. 민간이 운영하는 시민농원 모습 등도 견학하였습니다. At last, we moved to ALPHA campus in Awaji island. 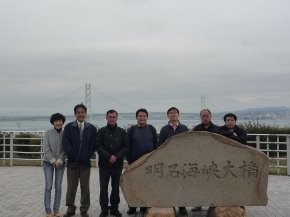 On the way to Awaji, we enjoyed the landscape of Akashi-kaikyo Bridge. 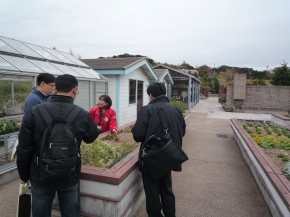 In ALPHA campus garden, we had guide tour by volunteer guide and had explanation of horticultural therapy garden. 그리고, 아와지 섬에 있는 본교로 이동하는 도중, 아카시해협대교에 들려 견학하고, 본교에서는 곧바로 캠퍼스 가든에서 자원봉사 안내자로부터 원예요법가든 등에 대한 설명을 받았습니다. After the guide, our faculty gave lectures about projects and activities which we studied today and policies related with these projects and activities. The whole program was over at 16:30pm. 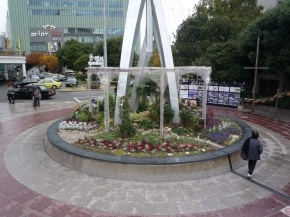 마지막은 본교의 교원으로부터 오늘 견학한 내용의 정리와 그와 관련된 정책 내용의 강연, 의견교환을 했고 전체 프로그램은 오후 4시 30분에 완료되었습니다. ALPHA will offer the seminar for foreign professionals as presented above in compliance with the request from now on. 본교에서는 앞으로도 이와 같은 해외 전문가 세미나를 희망하시는 분의 요청에 따라 개최해 가겠습니다. We can offer various subject matter besides the one presented above. 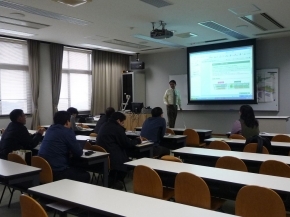 These subjects are related with landscape design and management for harmony of human and natural environment and the contents of seminar will be arranged flexibly by the request. 제공할 수 있는 테마로서는 이번과 같은 것 외에 예를 들어 「생물다양성보전의 지역 만들기」、「재해에 강한 마을 만들기와 녹지 계획」、「원예요법의 실천」、「꽃과 녹지를 활용한 시민 마을 만들기」、「녹지공간에 있어서 장애인을 위한 디자인」등이 있고 、「사람과 자연이 공생하는 경관 디자인과 매니지먼트(관리∙운영)」에 관한 것으로 다양하게 대응해 갈 것입니다. If you like to have this seminar, please feel free to ask ALPHA office by e-mail. 세미나 개최를 희망하시는 분은 상기 이외에도 관심있는 주제가 있다면 본교 사무국에 메일로 문의해 주십시요.